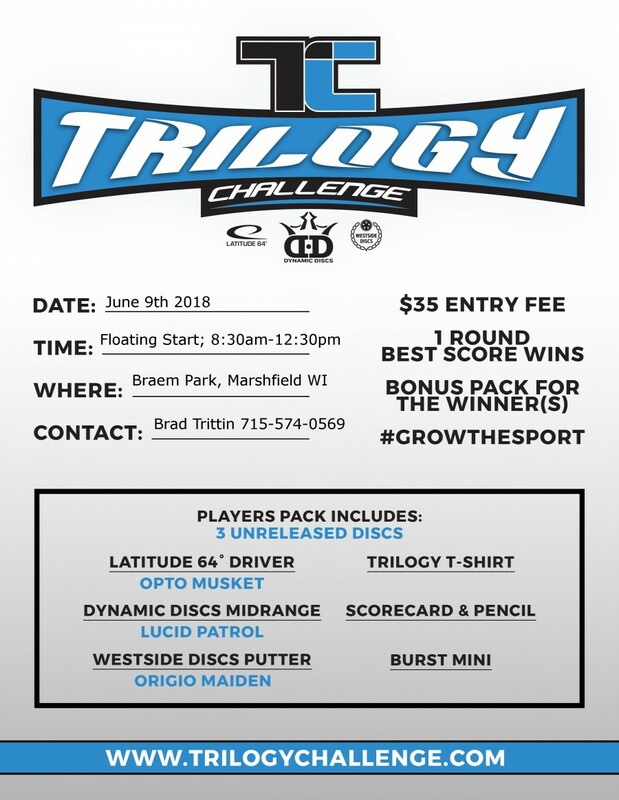 Welcome to the 2018 Trilogy Challenge! 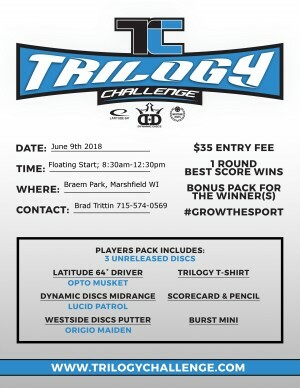 This is an event offering the opportunity to try new discs and grow the sport! For $35 each participant will receive a player's pack with everything needed to compete in the event! We are offering a floating start from 8:30am to 12:30pm for your convenience but items are first come, first serve. There will be three divisions: Competitive, Recreational, and Juniors. Comp will be playing for a Soldier bag, three discs, and the Trophy Disc! Rec will be playing for a Cadet bag, three discs, and some Nailed It Disc Golf accessories! Juniors will be playing for a Cadet bag, three discs, and some Nailed It Disc Golf accessories! Nailed It Disc Golf is responsible for all refunds/cancelations.